Conte Verde - meherbabatravels jimdo page! The necessary preparations having been made, Meher Baba and four mandali left Nasik for his fourth trip to Europe. 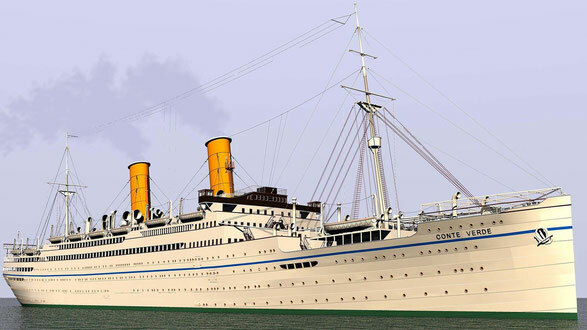 On Monday, November 21st, 1932, Baba and his companions sailed from Bombay aboard the Conte Verde, an Italian liner. The mandali with him on the voyage were his brothers Jal and Adi Jr., Vishnu Deorukhar and Kaka Baria. Of the early foreign trips, this was the only one when Chanji did not accompany Baba. As Baba set sail for Europe, Rustom had been ordered to sail to Los Angeles, California, by way of China, to do certain work in Hollywood. Rustom left on December 2nd. 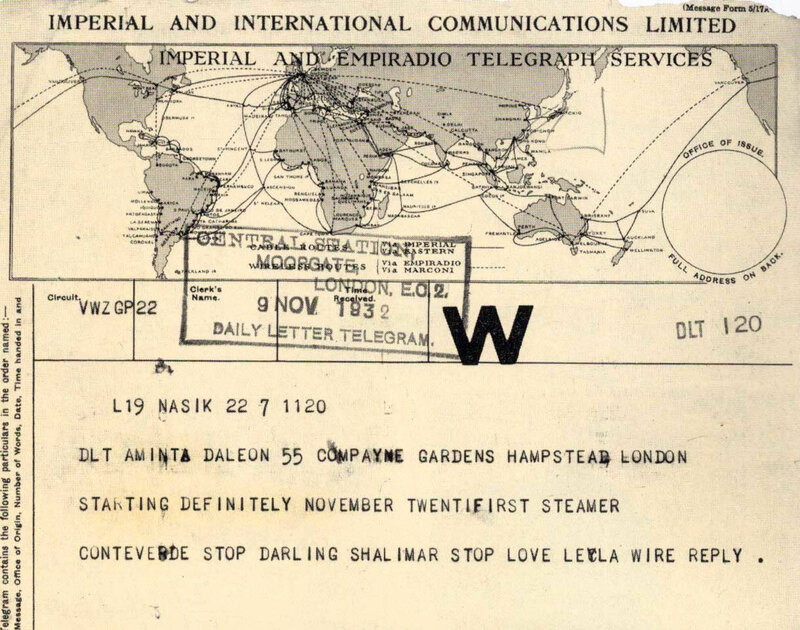 Chanji was also directed to go to China to stay for some time with Herbert Davy. He took a ship to China later in December. 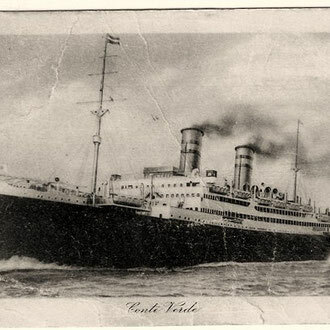 On September 25th, 1933, Baba sailed for Europe on the M. V. Conte Verde ( should be S.S. Conte Verde ), accompanied this time by Adi Jr., Chanji and Kaka Baria. was a knock at the cabin door. Chanji opened it, and stepped out to find a very dignified looking old man standing in the hallway. Introducing himself, the old man said, "I am Sir Akbar Hyderi and I wish to see Meher Baba tomorrow morning if he will allow me to visit for a few minutes. May I know what time will be convenient for him?" Chanji went inside to inform Baba, who instructed, "Tell him that, though I am not seeing anyone during the voyage, I will see him for five minutes tomorrow morning at ten." Chanji accordingly informed the old man who seemed very pleased, saying that he had heard much about Meher Baba and had longed for an opportunity to meet him. Akbar Hyderi was Prime Minister of Hyderabad, an important official similar to a governor. He came the next day to meet Baba, who was happy to see him. After the usual introductions and pleasantries, the conversation turned to spirituality. Baba explained about the three types of faith. Hyderi said, "Turn me toward the second stage where I can feel and experience God!" Baba seldom had any visitors or left his cabin, except for an hour walk in the morning and afternoon. He wanted to stay aloof and he found his accommodations to be very comfortable this voyage. The ship docked in Port Said on the morning of October 2nd, and the maharani of Indore, Mrs. Yeshwantrao Holkar, came to Baba's cabin for his darshan with her secretary. The boat stopped in Brindisi, Italy, at 9:30 A.M. on the 5th of October and left port two hours later. That afternoon, Mr. Munshi came at 4:40 for ten minutes. Thereafter, Akbar and Lady Hyderi saw Baba at five o'clock; he comforted them again and urged them not to worry about their son. BABA and the mandali arrived in Venice on the morning of October 6th at nine o'clock. Enid Corfe, Kitty Davy and Minta Toledano came to welcome them, along with an Englishman named Bill Precey who had previously met Baba in London. Baba proceeded from the pier to the Hotel International, where the group stayed. Shortly after Meher Baba concluded his 9th trip to the West, arriving back to India 23rd November 1936 on the "SS Viceroy of India" several of the Westerners had also headed for Bombay, India. 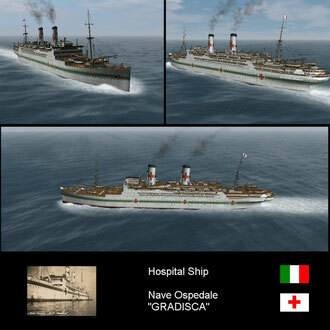 The first lot had travelled on the "SS Elysia" , arriving in Bombay on the 8th December. 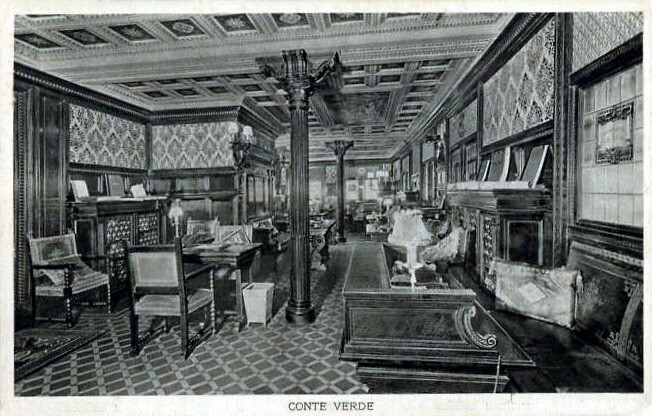 The second lot travelled on the "SS Conte Verde", arriving in Bombay on the 14th December. They were ; Garrett, Nadine and the Grand Duchess Marie, who was also a journalist. 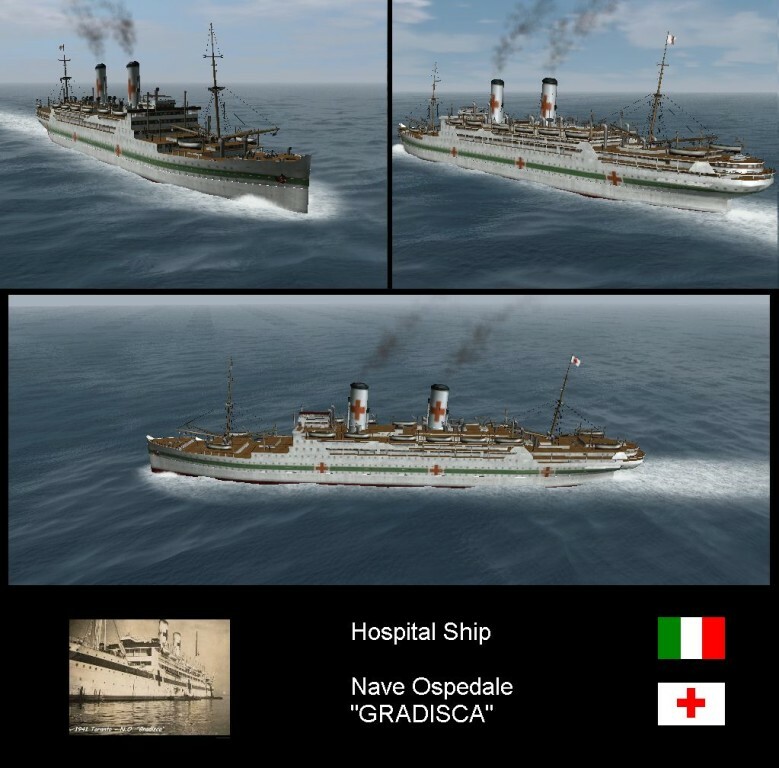 The third group travelled on the "PO Rawalpindi". They arrived in Bombay on the 24th December. 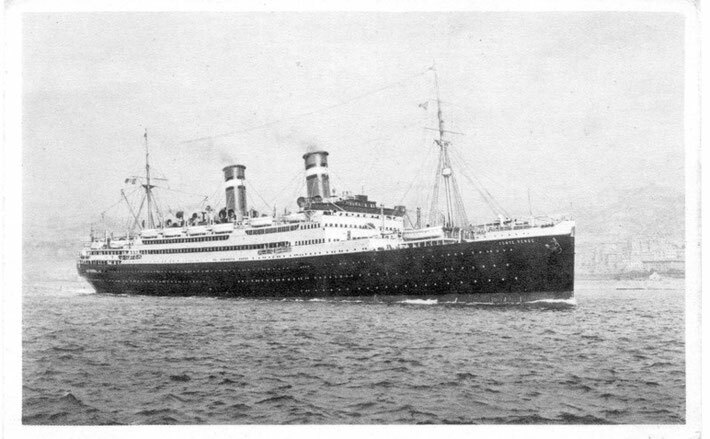 Finally, Ruano Bogislaw arrived on the "SS Strathaird" in Bombay on the 2nd January 1937. After two days, the group went to stay at a bungalow in Bhandardara where the climate was cooler and more comfortable. From Nasik, Baba came to stay at Bhandardara for five days on December 14th, accompanied by Bhagirath. 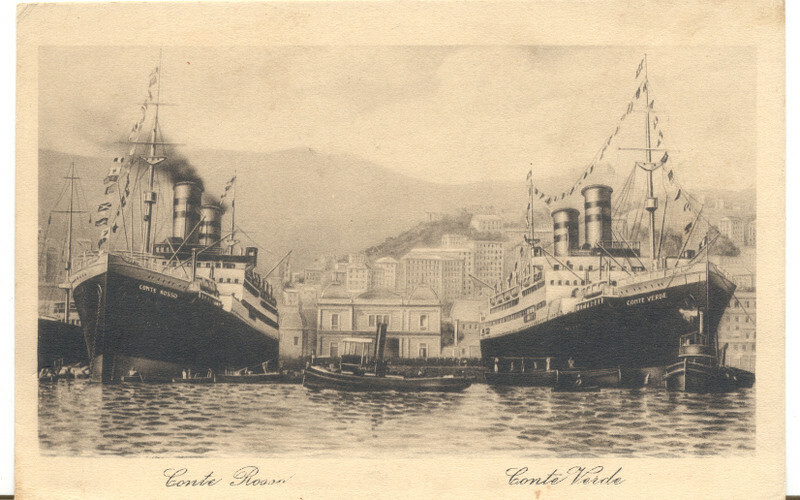 Two days later, Garrett Fort, Nadine Tolstoy and Grand Duchess Marie arrived from America on the ship Conte Verde. 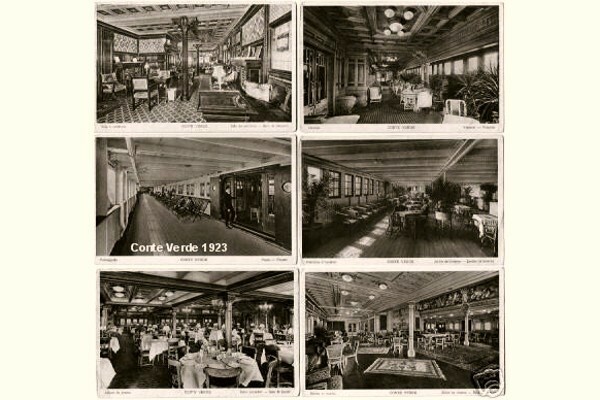 Garrett Fort left Nasik on March 24th with Chanji and, following Baba's orders, set sail the next day on the Conte Verde headed for California. He was never to see Meher Baba again. Fort's departure was the beginning of the end of the Nasik ashram. It was also one of the reasons why the magazine Avatar never got started. The planned publication, however, was not completely dropped and was to start up eighteen months later as The Meher Baba Journal. ﻿Sam Cohen, the seeker from Oceano, California, arrived in Bombay aboard the Conte Verde on April 20th, and was met by Chanji and taken to Nasik the same evening. Maliya Rudhyar returned from touring India the next day and began staying in Room Five of Sarzat. 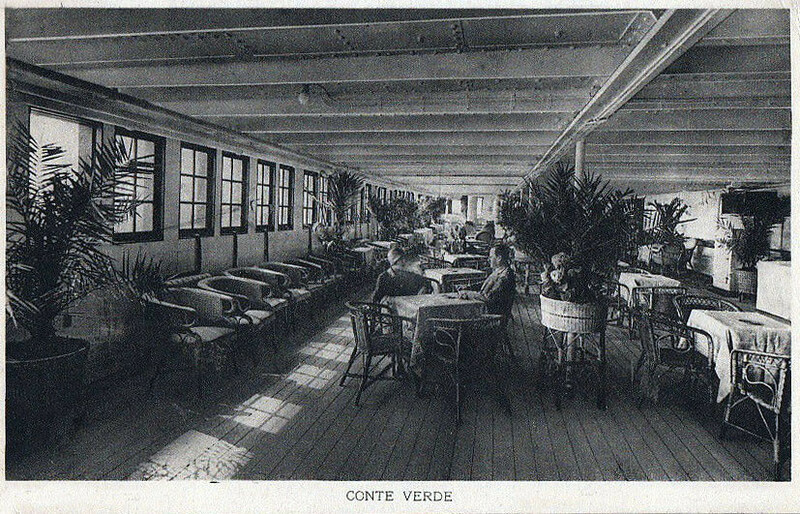 Elizabeth Patterson arrived from America in Bombay on February 15th, on the Conte Verde. Her dog Kippy, who had stayed with Irene Billo in Switzerland while Elizabeth was in America, accompanied her to India. Adi Sr. met them. 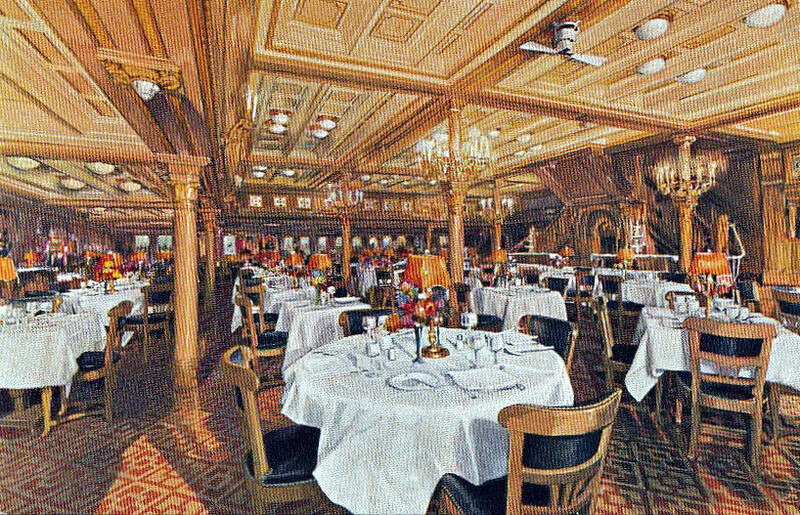 Nonny Gayley arrived two days later on the S.S. Reliance and was met by Chanji. Both were brought to Meherabad in time for the birthday celebrations, and they began living on the Hill with the other women mandali. Mansari was not the only new addition to the woman mandali in June. On June 28th, four Europeans arrived in Bombay on the Conte Verde and then came to Ahmednagar to join Baba's burgeoning ashram. They were the Russian Nadine Tolstoy from America, and Hedi Mertens, Helen Dahm and Irene Billo from Switzerland. Irene contracted jaundice shortly after she arrived, so by Baba's orders, Rano began nursing her. Baba supervised her treatment and she gradually recovered. 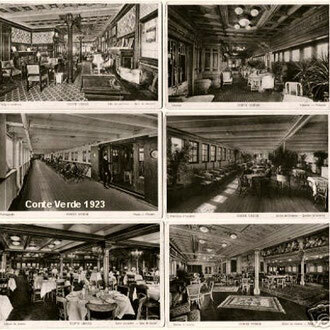 SS Conte Verde was an Italian Lloyd Sabaudo Line ocean liner active in the early 20th century. 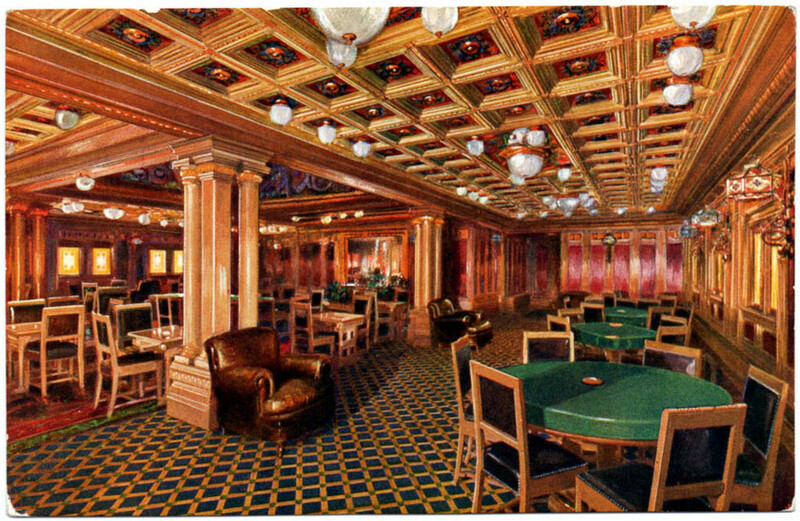 It was built in 1923 and had a GRT of 18.765. 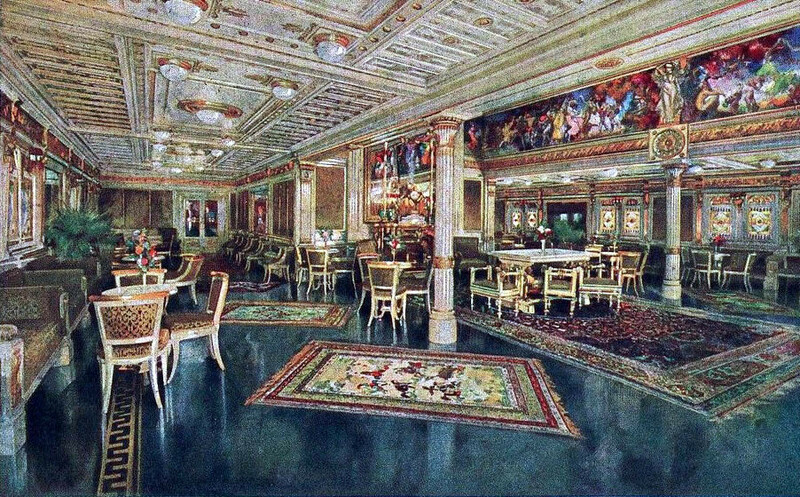 She originally provided transatlantic passenger transport between Genoa and New York City. 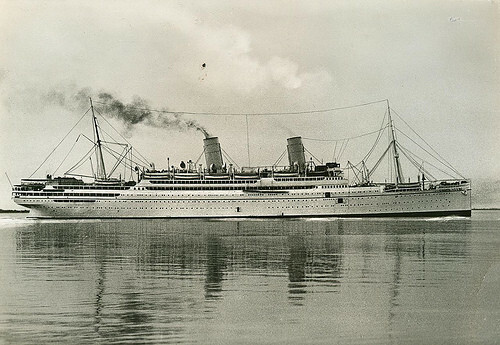 After acquisition by Italian Line in 1932, she became a part of Lloyd Triestino (also chartered by Italian Line) for service between Trieste and Shanghai. 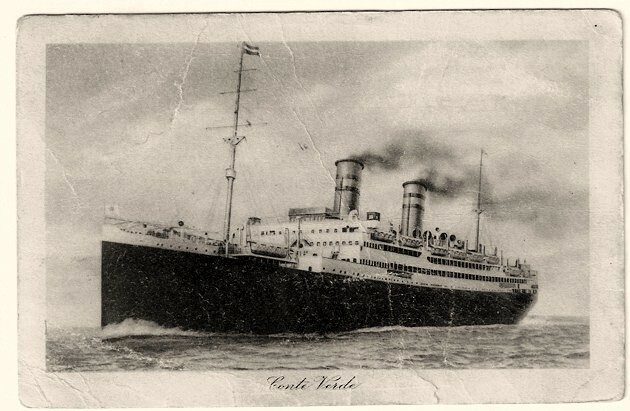 Four national football (soccer) teams were transported to Montevideo by the Conte Verde for the inaugural FIFA World Cup in 1930: Romania, France, Belgium, and Brazil. 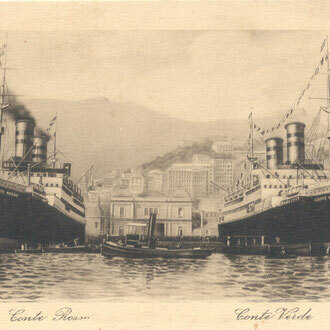 The Romanian team boarded in Genoa, the French delegation (including FIFA president Jules Rimet) boarded in Villefranche-sur-Mer, the Belgian team boarded in Barcelona, and the Brazilian team boarded in Rio de Janeiro. The trophy and three referees, Jean Langenus, Henri Christophe, and Thomas Balway also crossed the Atlantic Ocean on the ship. Her sister ship was the SS Conte Rosso. ^ Oriental Journeys Reminiscene.co.uk. Retrieved on 15 February 2007. ^ Sinking of the Conte Verde Rickshaw.org. Retrieved on 15 February 2007. ^ Ships That Brought Us Rickshaw.org. 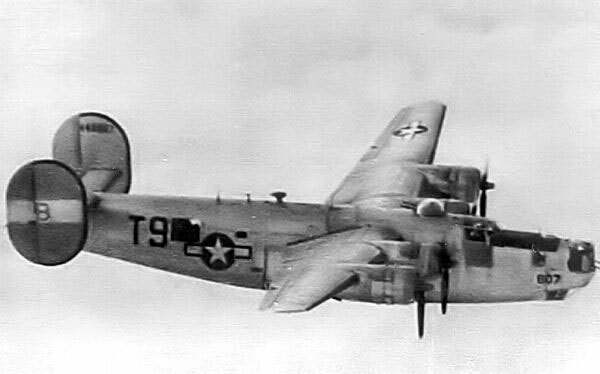 Retrieved on 15 February 2007. 1932 transferred from Lloyd Sabaudo, 1940 laid up at Shanghai, 1942 chartered to Japanese Government, 1943 scuttled by Italian crew, salvaged and renamed Kotobuki Maru, 1944 sunk by US air attack near Kyoto.